Makeup, Beauty and Honest reviews! Lakme 9 to 5 Weightless Lip and Cheek Color is my most used product this year. I have previously reviewed the shade Rose Touch which is my absolute favourite! Today I am reviewing the shade Fuchsia Suede. My Review: The packaging comes in a rose gold tube top. There is no colour coding which is a pain for me because I own several of these and reach out for these every day. Lakme 9 to 5 Weightless Lip and Cheek Color in Fuchsia Suede is a blue based pink shade. It is the type of shade which will brighten your skin tone. I am not a big fan of this shade but this will suit all skin tones for sure. The pigmentation is good but it does not cover my pigmented lips completely. I do have to use a lip liner or swipe it 2-3 times for opaque coverage. Of all the shades I own of this range, this one is a bit drying. Also the texture is not that smooth as Rose Touch. It is more thick mousse likeYou do need to exfoliate your lips and apply a balm underneath for smooth application. It last on the lips for 4-5 hours and after that it does dry out lips a bit. When it dries, it settles in the fine lines. The lip colour is very apt for a wedding or any function. It is a standout colour without being too in-your-face. 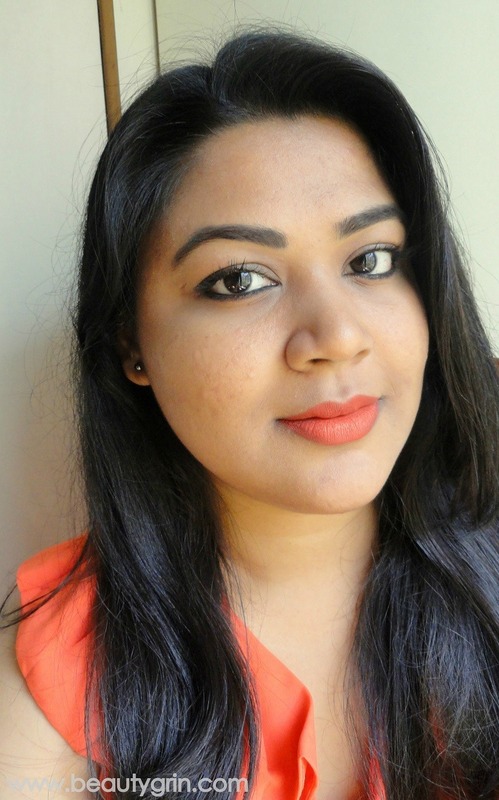 Overall, this Lakme 9 to 5 Weightless Lip and Cheek Color in Fuchsia Suede is a good shade. Best suited for fair or dusky skinned people. Author and Owner of Beauty Grin. Copyright © 2013-2017 Beauty Grin | Indian Makeup Review And Beauty Blog. Powered by Blogger.